One mega-conglomerate’s brand synergy is another person’s nostalgic childhood mashup. Case in point: In preparation for The Muppets’ debut on Disney-owned ABC this fall, the official Disney and Muppets YouTube pages have been releasing videos of the Muppets performing “dramatic readings” of Disneyland attraction songs. 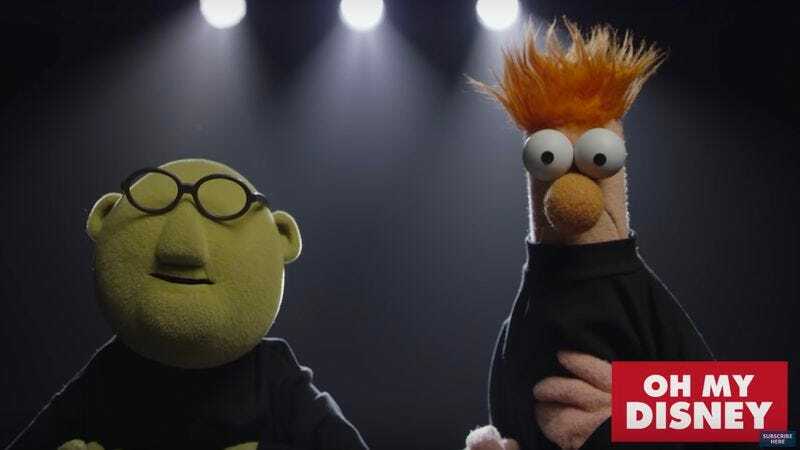 Clad in black turtlenecks, the Muppets mock theatrical pretension and celebrate their corporate overlords.